WordPress updated to WordPress 4.7.2 a week and a half ago and many site owners have already updated. But WordPress later announced that this update fixed a serious vulnerability that they delayed disclosure of, in order to allow sites to fix the vulnerability before others tried to take advantage of it. 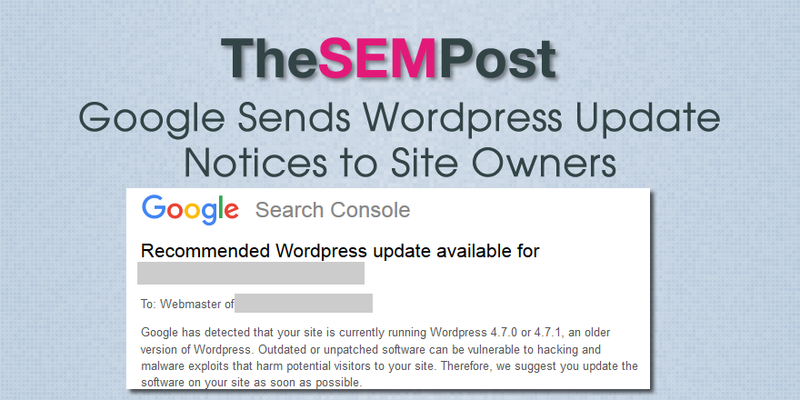 Google is also trying to ensure site owners update their WordPress, too. They are sending out these notices to those running 4.7.0 and 4.7.1 and haven’t updated. There does appear to be some lag – one of my sites revived a notice but it had been updated within 24 hours of the 4.7.2 release. 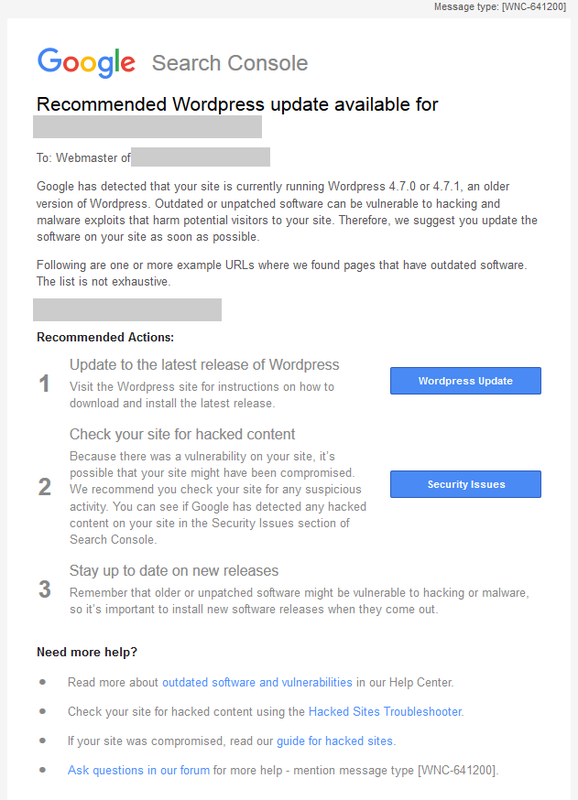 Google sent these warnings about WordPress previously, but they were with much older versions of WordPress that were years out of date. They seem to be targeting popular CMS and plugins that have been frequently hacked – last week they sent out one for the Slider Revolution plugin. If you get one of these notices, it is worth double checking even if you think you have updated already. Particularly if you have set up WordPress to auto-update, make sure it did upgrade correctly.